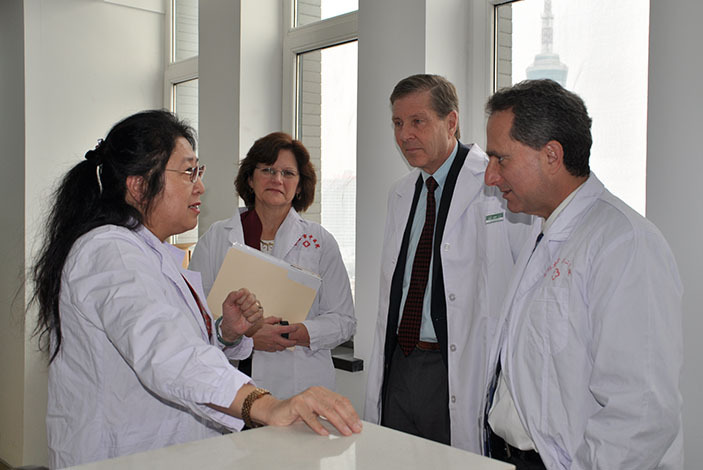 Emory faculty members paid a visit to their medical colleagues in the Jilin province of northeast China. 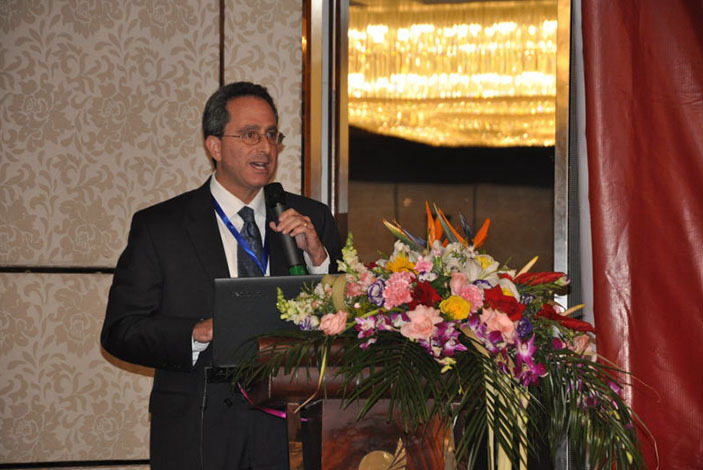 Emory faculty were invited speakers at the first China-U.S. Cardiac Rehabilitation Forum at the 7th Jilin Provincial Atherosclerosis Conference. The Cardiology and Cardiac Rehabilitation Center (CCRC) opened at The Affiliated Hospital to Changchun University of Chinese Medicine after a collaborative three-year effort. Specialists in Emory's Heart Disease Prevention Center, Department of Rehabilitation and the system's Cardiac Rehabilitation program at Emory Saint Joseph's Hospital lent their medical expertise and knowledge to develop the first-ever cardiac rehabilitation system in the Jilin Province of northeast China. The Cardiology and Cardiac Rehabilitation Center (CCRC) opened at The Affiliated Hospital to Changchun University of Chinese Medicine after a collaborative three-year effort involving Laurence Sperling, MD, director of the Emory Heart Disease Prevention Center; David Burke, MD, chair of Emory's Department of Rehabilitation; Di Cui, MD, former resident with Emory physical medicine and rehabilitation (PM&R) and currently practicing as a non-surgical spine specialist at Emory Orthopaedics & Spine Center and Kathy Lee Bishop, DPT, program manager of Emory's Cardiac Rehabilitation program at Emory Saint Joseph's. 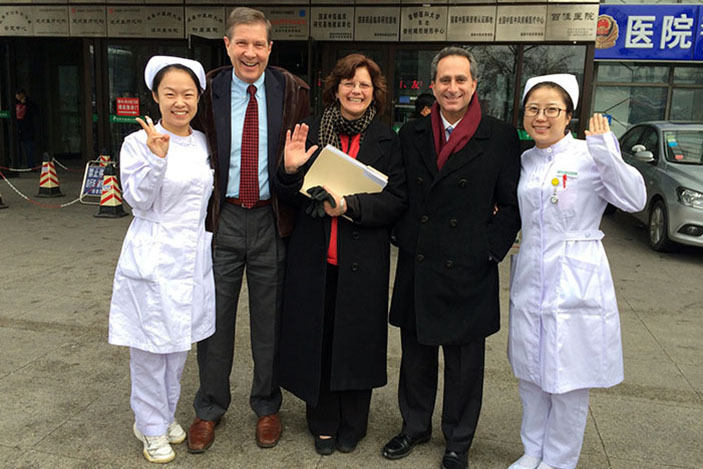 "It was an honor for Emory Healthcare representatives to help launch the first cardiac rehabilitation program in the Jilin province. 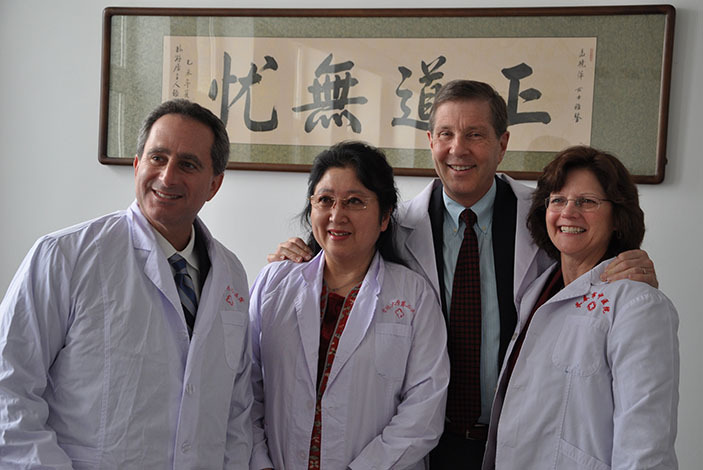 It is noteworthy that Chinese cardiologists are increasingly embracing the value of cardiac rehabilitation and comprehensive cardiovascular prevention in the care of their patients," says Sperling. Xaioping Meng, MD, a cardiologist in the Jilin province and former research associate of Sperling's, wanted to establish a cardiac rehabilitation program closely aligned with Emory Healthcare's model of care due to the growing need for heart disease and stroke patients in the area. She had previously completed post-doctoral research in Emory's Division of Cardiology. Her inspiration for the current CCRC was largely based on her visits to the Emory HeartWise Risk Reduction Program and the merged program at Emory Saint Joseph's. Emory Saint Joseph's cardiac rehabilitation program includes education classes on heart healthy living and risk factor modification as well as a supervised cardiac fitness program and the opportunity to meet with a registered dietitian. Upon entering the program, each patient undergoes a comprehensive medical and fitness evaluation, and their care is overseen at each visit by members of the medical team. This includes helping patients implement healthy lifestyle changes through education, as well as diabetes management, blood pressure control and cholesterol monitoring. The Emory Saint Joseph's Cardiac Rehabilitation program is one of only a few Atlanta programs certified through the American Association of Cardiovascular and Pulmonary Rehabilitation. 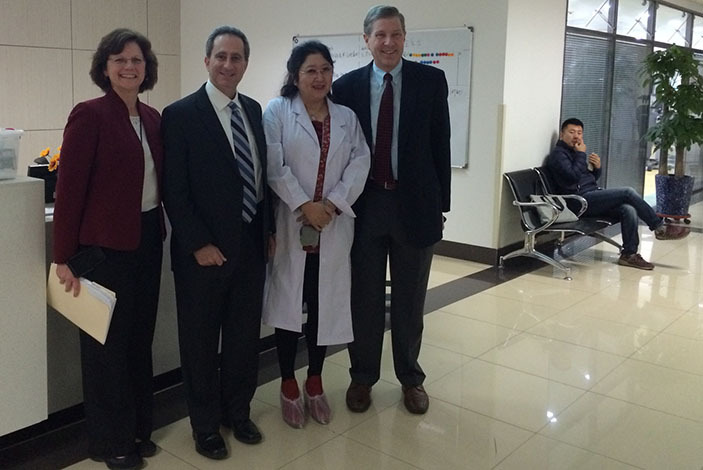 In addition to Meng's visits to Atlanta to study the specifics of Emory Healthcare's cardiac rehabilitation program, Emory faculty members reciprocated with a visit to their medical colleagues in the Jilin province. 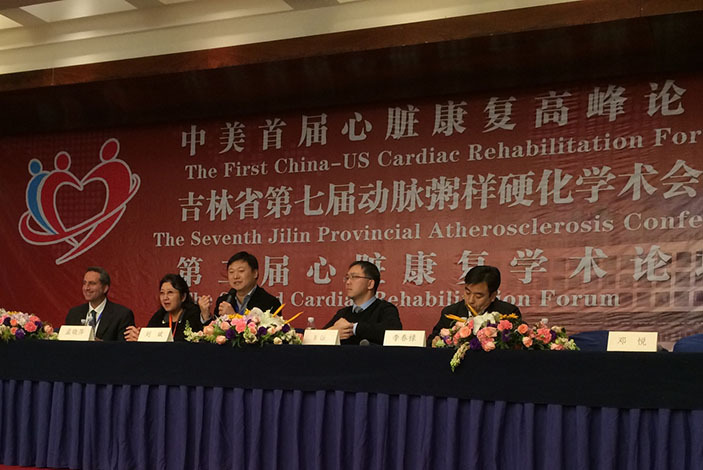 While there, Emory faculty rounded on cardiac rehabilitation patients and were also invited speakers at the first China-U.S. Cardiac Rehabilitation Forum at the 7th Jilin Provincial Atherosclerosis Conference. Some the topics presented included challenging patient cases as well as opportunities for improvement and research in cardiovascular and rehabilitation medicine.